This month, we were sent some craft goodies paid for by Bostik (from Craft Merrily) to put together some Chinese New Year crafts for our readers. 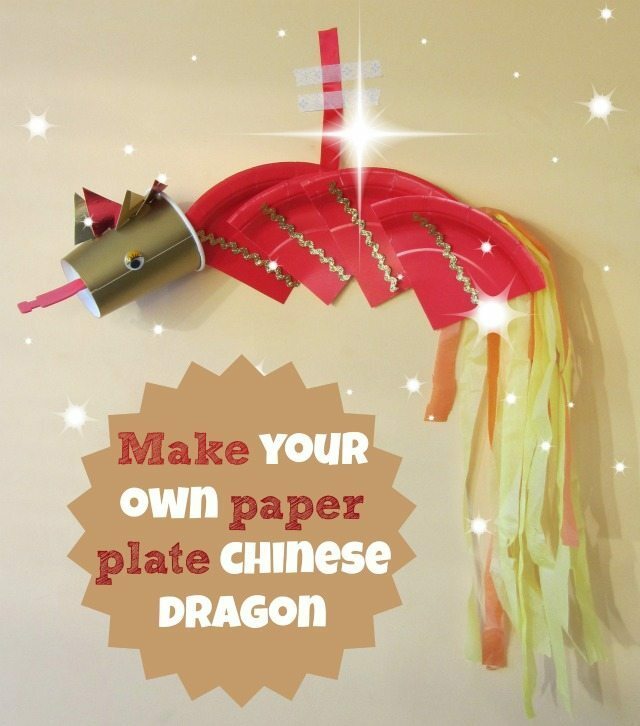 After staring at the box for a good half hour, we finally got some inspiration, and are presenting the fruits of our combined brain cells to you now…our Chinese New Year paper plate and cup dragon. I hope you all like it. To be brutally frank, I was a little worried it was a little bit below par for crafty posts, but after much reassurance from the wonderful blogging community, and some excellent photography advice as well…here we are. This is a simple craft; it has to be so I can do it. You can change the shape of the dragon, or decorate its body as well, making it even more interactive for your little one. The dragon is yours to command! 1. Cut the plate into quarters as shown below. After this, you can put some glue on the paper plate body, and add some glitter, and other decorations, perhaps even some Chinese lettering, or some more scales. Let you child go as wild as the dragon! Now all you need to do is step back and admire the handiwork. Happy crafting until next month when we will have more fun stuff for you to play with. We were sent the items for this post by Bostik for free so that we could come up with an original craft for Chinese New Year. All ideas and photos are our own. This post in part of the Chinese New Year Blog Hop on Peakle Pie – check it out! A lovely project to celebrate the Chinese New Year! Aw how cute is that. Dragon looks awesome! My girls would love to make these too!